I don’t usually care much about the aesthetics of a restaurant. If the food is good, I’m happy to be eating it on a stool by the roadside. But there are occasions when you need more pleasant surroundings for lunch, such as when you’re meeting a dear friend for a long-overdue catch up. 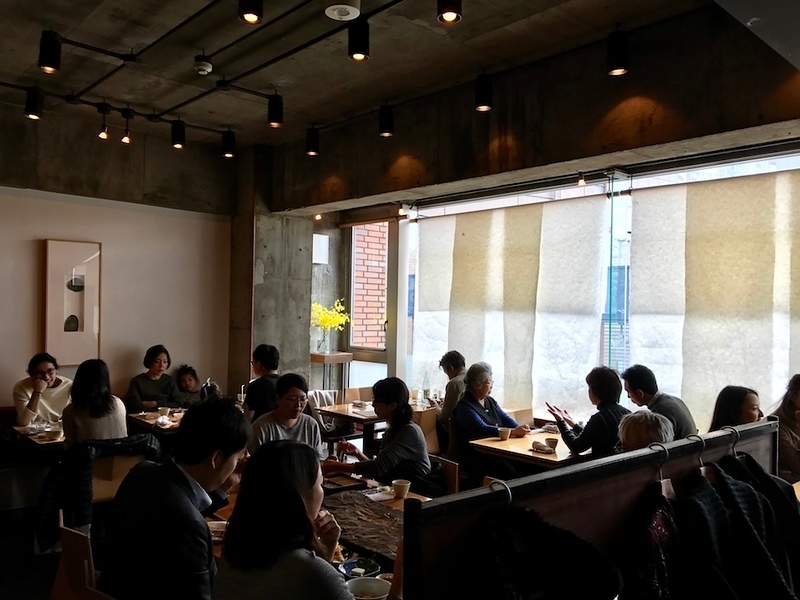 Honmura-an is one of those places that’s oddly conducive to heartfelt, meandering conversations over lunch. 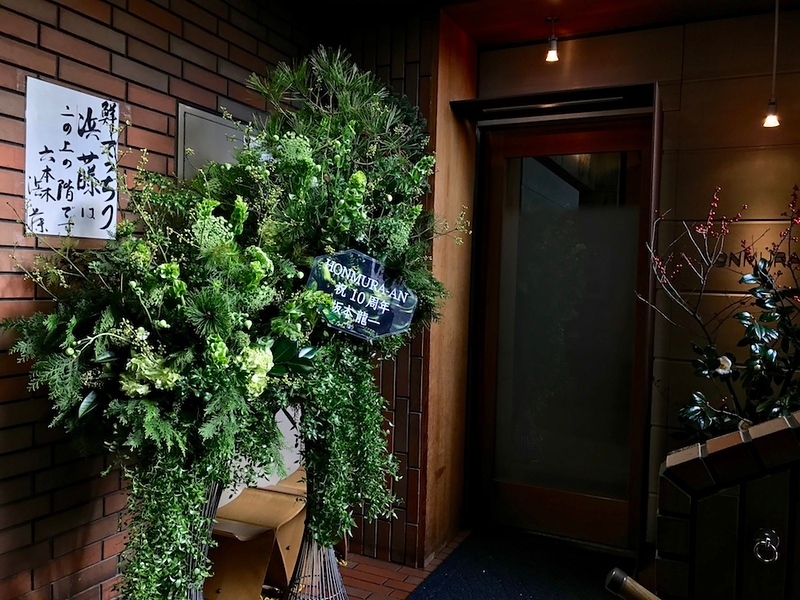 It is also not the kind of place that sees hour-long queues outside its door, which can only be a bonus for a well-touristed area like Roppongi. If a friend and I can be seated within 5 minutes at half past twelve on a Sunday, it’s not a bad place to be at all. The entrance to Honmura-an is easy to miss. When you walk down the street where it’s located, look for the “Hamato” signboard with a puffer fish above the stairwell. Don’t go downstairs - that’s a common mistake. Walk up the stairs and you’ll find Honmura-an on your right. There are restaurants where the decor seems to be an expression of the food, and vice versa. Honmura-an is that kind of place. It’s rather chic and contemporary, with a number of traditionally Japanese elements. It marries concrete walls with warm wooden furniture, washi paper drapes in shades of white and cream over the windows, and a beautifully-curated mix of tableware. Then there are the art prints on the wall, which add a personal touch to the restaurant. 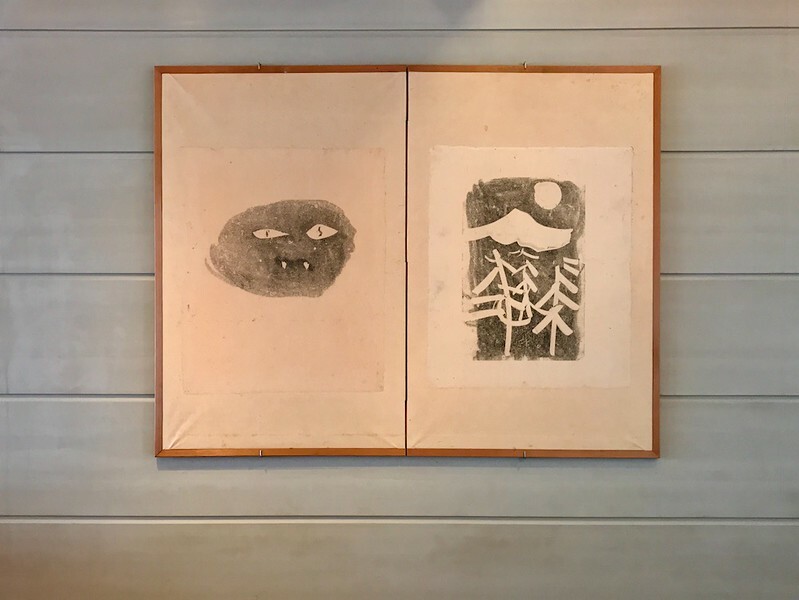 Among other delights, the owner has hung framed lino prints which he brought back from San Francisco - fun, a little quirky, and yet entirely fitting in this space. 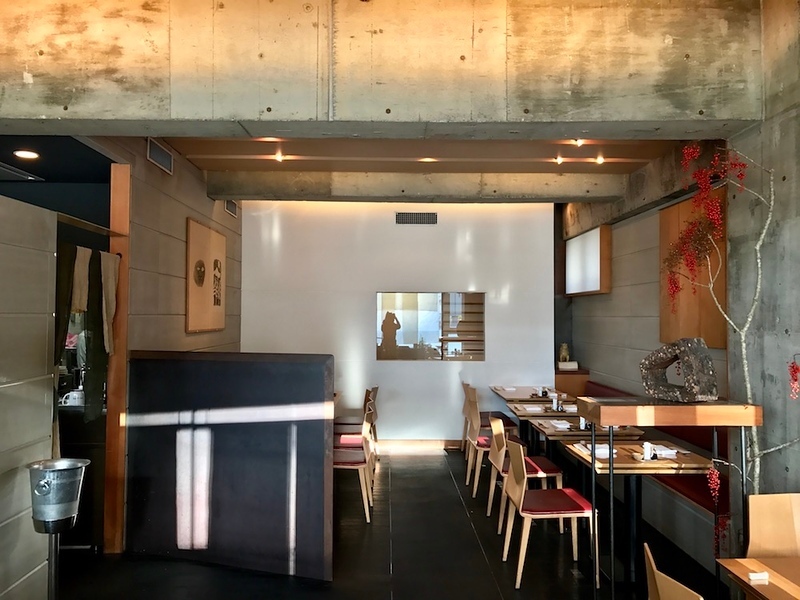 Honmura-an previously had a New York outpost (now closed), so the restaurant is no stranger to English-speakers or travelers. 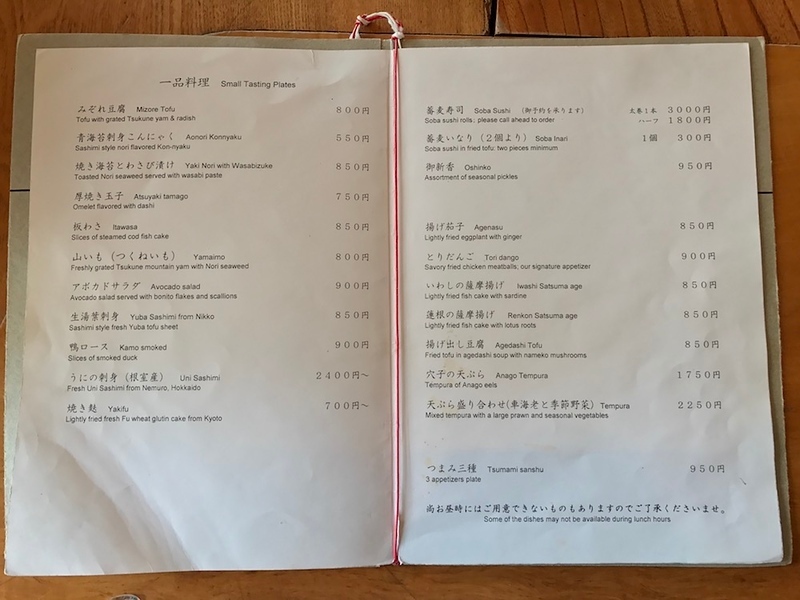 Their English menu is spare, clear, and well translated. You’d be surprised at how rare this is in Tokyo. 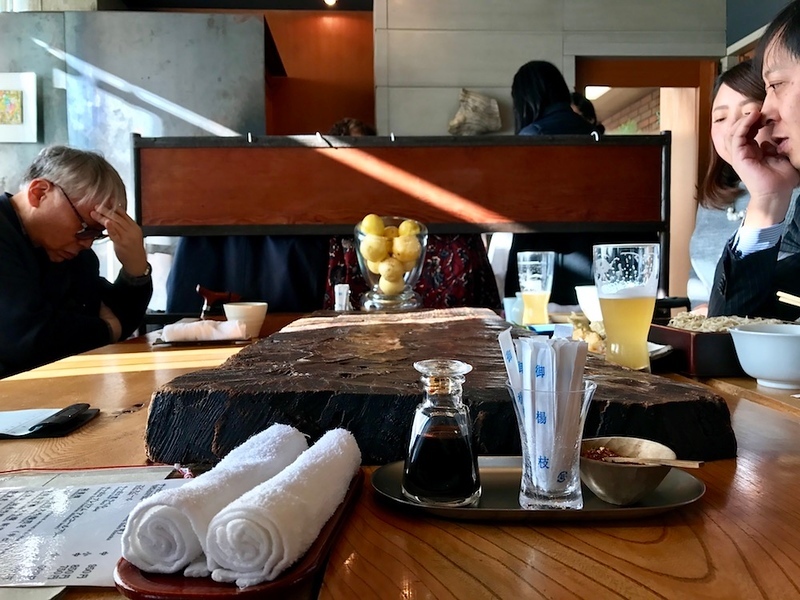 Soba is not a particularly cheap food, and so prices are slightly higher than, say, a set meal or a bowl of ramen, but entirely reasonable in the context of soba restaurants. You can eat well here for around JPY2000 and under. Think of it as a small premium for beautiful surroundings, and slightly rarefied, elegant food. One of their signature appetizers here is the tori dango or chicken meatballs. It’s a straightforward dish: a gingery chicken meatball, battered and deep-fried. Like most soba places, the noodles are not pure buckwheat. It’s a buckwheat-wheat ratio of 8:2, so it is definitely not for the gluten-free traveller. They’re made fresh daily, stone grinder and all. 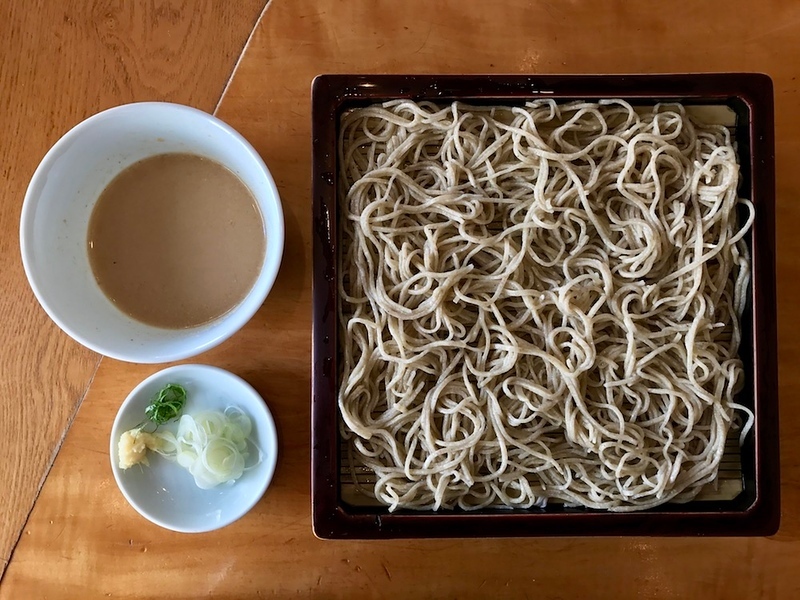 They’re not the best soba noodles ever - you should probably visit the mountains of Nagano for that - but they’re quite good, and best eaten cold. I love the gomadare (sesame dressing) sauce with these noodles. It’s deliciously nutty and savoury, and I don’t know why it’s not a more common option for soba menus. The combination of buckwheat and sesame is cold, refreshing, and perfect for a light lunch. Towards the end of the meal, they’ll bring you a long-handled pouring vessel. It contains soba-yu, or “hot soba water.” This is the water used to boil the buckwheat noodles, thought to be extremely nutritious. Use it to dilute the dipping sauce (whether you’ve ordered the sesame or standard shoyu-based sauce), making a lovely hot soup to finish your meal. Take some time to appreciate the beautiful tableware. The pouring vessel for the soba-yu, for instance, is covered in white, with a simple red cover. Over time and repeated use, the white coating slowly rubs away to reveal black lacquer underneath. 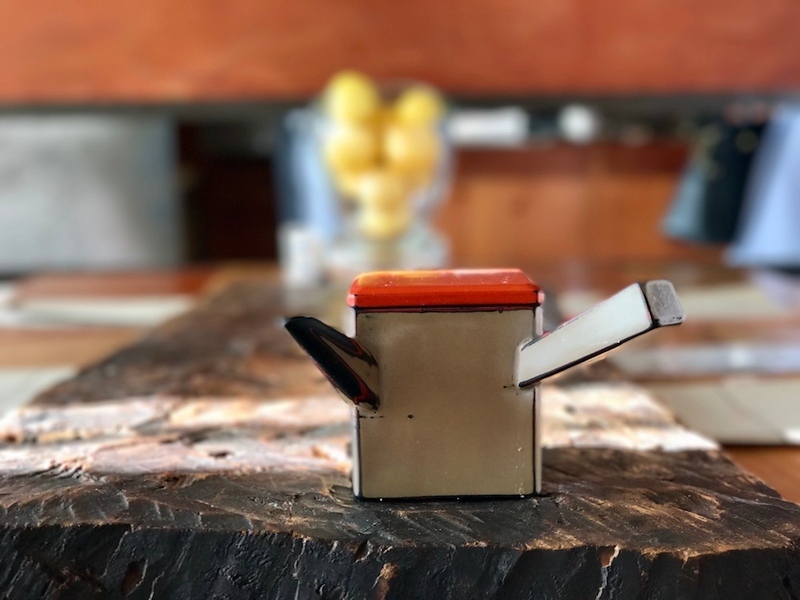 I enjoy seeing the evolution of these objects over time, since it shows that they’re well-loved and used. 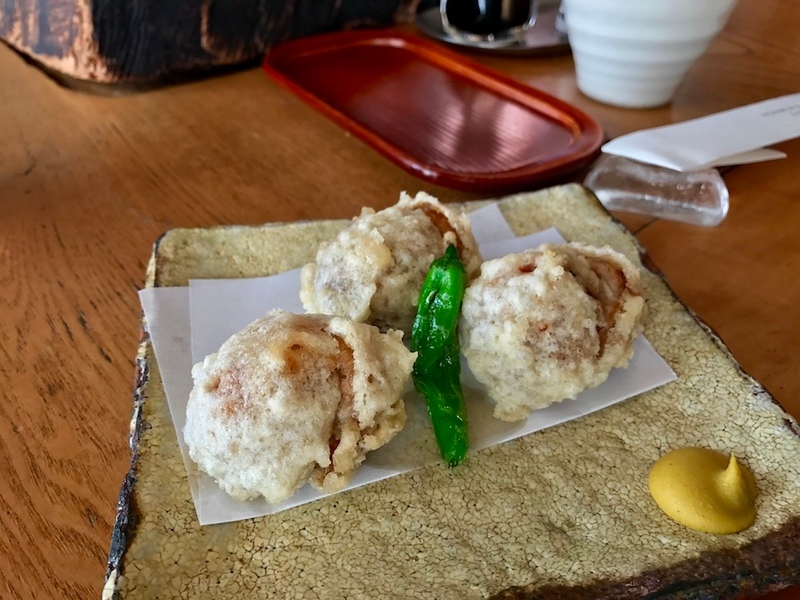 Honmura-an is the kind of place to have a slow lunch with a good friend, where lingering over food and conversation is quite acceptable. Pair with an outing to one of Roppongi’s excellent museums, and you have yourself a perfect Sunday afternoon. 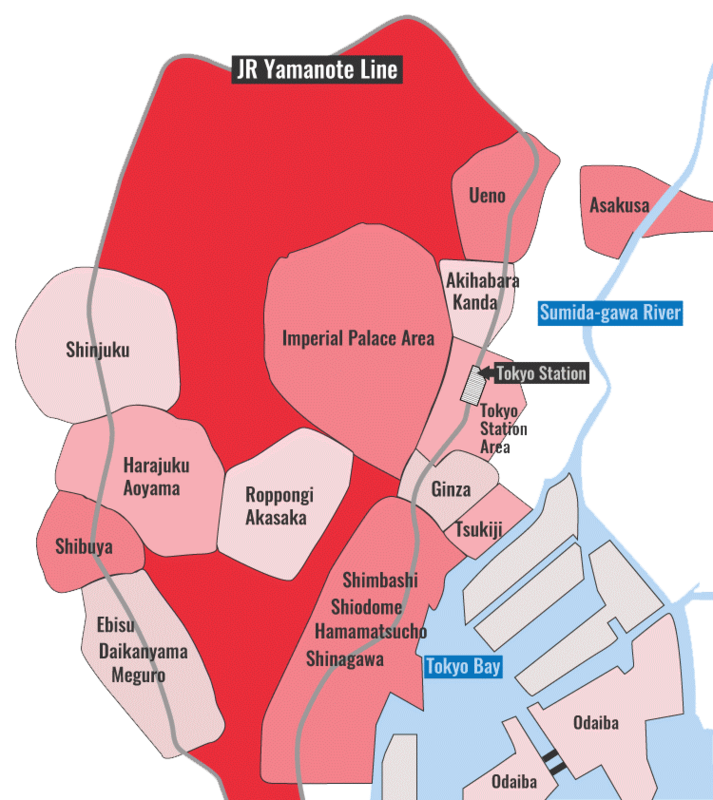 Honmura-an is located in Tokyo's Roppongi district. See our complete list of things to do in Roppongi, including places to eat, nightlife and places to stay.